Working a 9-5 Job & Want to Play Overseas/Professional Basketball? Here's What I Did | Dre Baldwin - Creator & Author of "Work On Your Game"
I Want To Play Overseas / In The NCAA… But I Don’t Know Where to Begin! Help!! How Good Do You Have To Be To Play Overseas/Professionally? Can You Go Pro/Overseas Coming from a NCAA D3 School? Do Not Give Money To Scam Artist John Jordan to Play Overseas. Ever. As I shared in my book Buy A Game, I knew my future after college was in professional basketball. I had no idea how or where or when or who would be involved, but I knew that’s what I was doing. I don’t work a 9-5 anymore, but during the early years of my career I juggled the working life along with doing my best to make/keep my game pro-level ready. Here I’ll share some of what I did; maybe some of this will help you. I had a job as a membership sales consultant at a gym in downtown Philly which was perfect for me since I could use it free to work out. Problem was, this gym’s downtown location did not have a basketball court. The company had another location outside of the city, though, with a complete full court. I was living in between the two gyms — my job was 20 minutes south, the bball court was 40 minutes north — and I had to be at work by 9 AM. Solution: wake up at 4 in the morning, get to the basketball gym by its 5:30 opening time, work out, shower, drive straight to my job, there by 8:30. I usually had league games in the evenings — sometimes at the same gym I’d worked out in that morning — and often got caught falling asleep at my desk at work (pre-5 Hour Energy). My boss at the time actually threatened to send me home if he caught me sleeping at my desk again. My boss’ boss threw me out of a district sales meeting after catching me dozing off multiple times during a quarterly district meeting (which I denied, but it was quite clear I was sleeping). I later joined a gym — which I had to buy a membership for — that was much closer to my apartment, costing me a few dollars but saving me a ton of time (and maybe my job). Something had to be sacrificed for me to get to where I wanted to be. Sleep was one sacrifice. I rarely went out and didn’t party art all — my income went to living expenses and saving for whatever camp or tryout I was looking towards attending. And that is pretty much all my life was back then: Go to work, go to gym, go home. No leisure. No entertainment. Not even many dates. There was only one mission. Every single action I took was with my career in mind, even though at the time there was no career. If you are incapable of this simple level of discipline while building your career you need to ask yourself if this (your current life, you hopeful life) is what you really want. Your articles lead me to believe a career overseas is still out there for me. Ive been out of highschool since ’12. 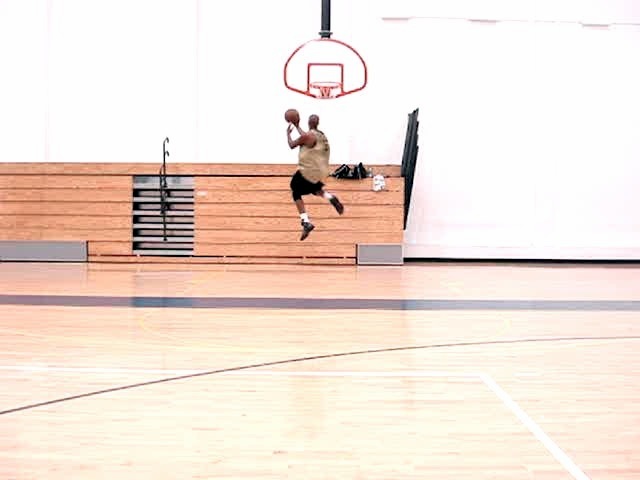 Im 21 and Im a stocky 5’7 with gifting altheticism and a pure jumpshot. You are an inspiration to many people including me. Keep doing what you do. I hope to see you in the NBA one day. You really helped me out tonight dre, right when I’m thinking about giving up I watch some of your videos and read about your story and you’ve inspired me. Thank you for sharing your progress online. It really gives people someone to look up to when it feels like they got nobody.